There is a tradition of distributing gifts during festivals as it is supposed to strengthen social bonding and bring cheer to our lives. 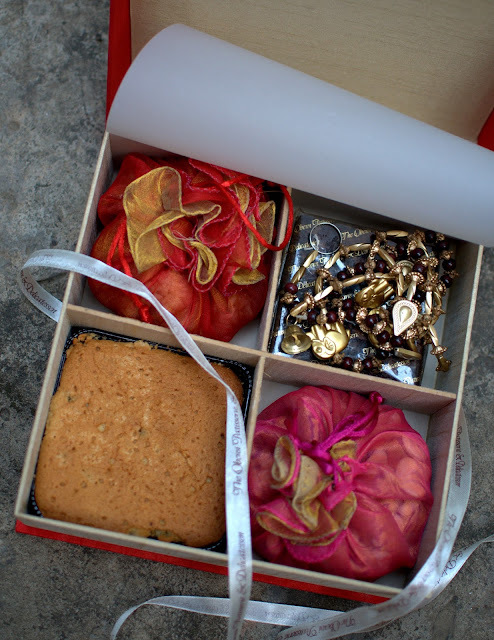 Who doesn't feel happy to receive a box of chocolates or besan ke laddu when it is festive time or even otherwise. 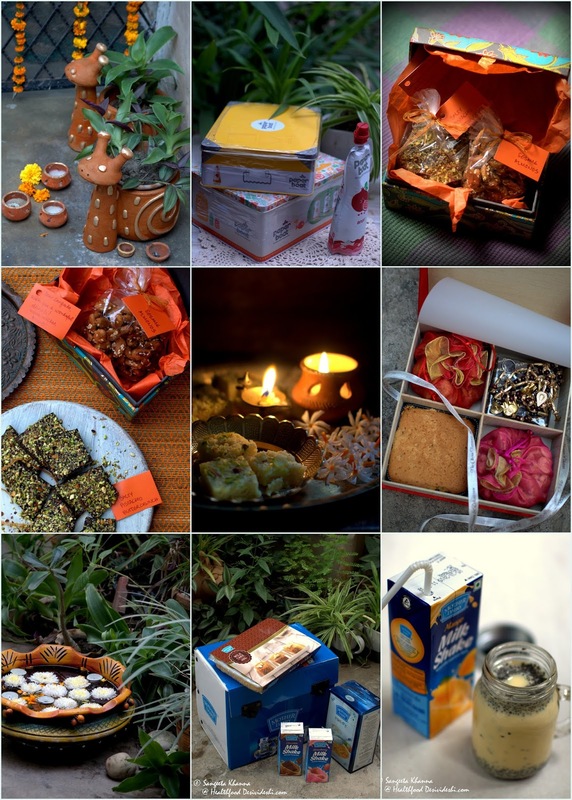 To make the gifting worth we must think for a moment about the ingredients being used to make those cakes, brownies, mithais and other edible products that we buy during these times. I always wonder where from so much milk products come (mostly khoya, reduced dehydrated milk) in the market during major festivals and how do the shops manage to increase the shelf life of mithais and cupcakes being packaged and transported on an industrial scale. 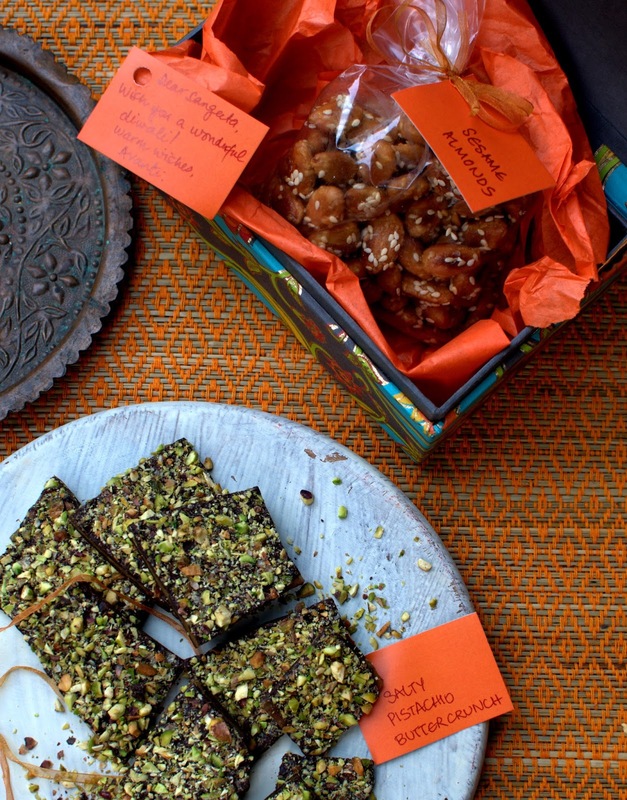 Everyone who has seen the production and supply chain of such products will be aware what all goes into those glittery garnishes and even the piece of cake or mithai you buy. Being careful about the quality of the products you decide to gift is a great idea if you care for your friends and family. 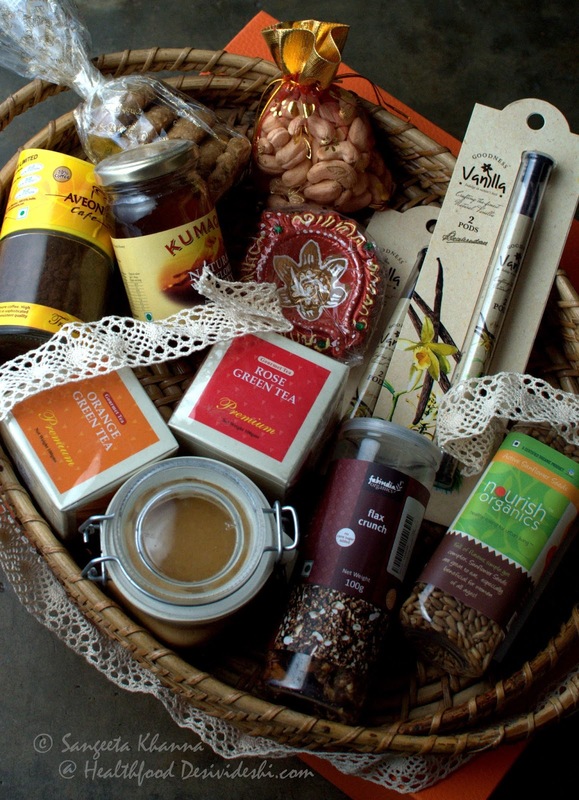 In older days we used to gift a platter of Besan ka laddu and Shakkarparas to friends and relatives but now a days I see many of us gifting ready made hampers. W don't have enough time to make time consuming mithais or cakes and cookies for gifting but we do want to gift nice good quality things to our loved ones. It is all the more important to know where these products come from. Here are a few ideas of gifts that you would love receiving. The biggest reason to choose the same kind of products and homemade eatables for your friends as well. 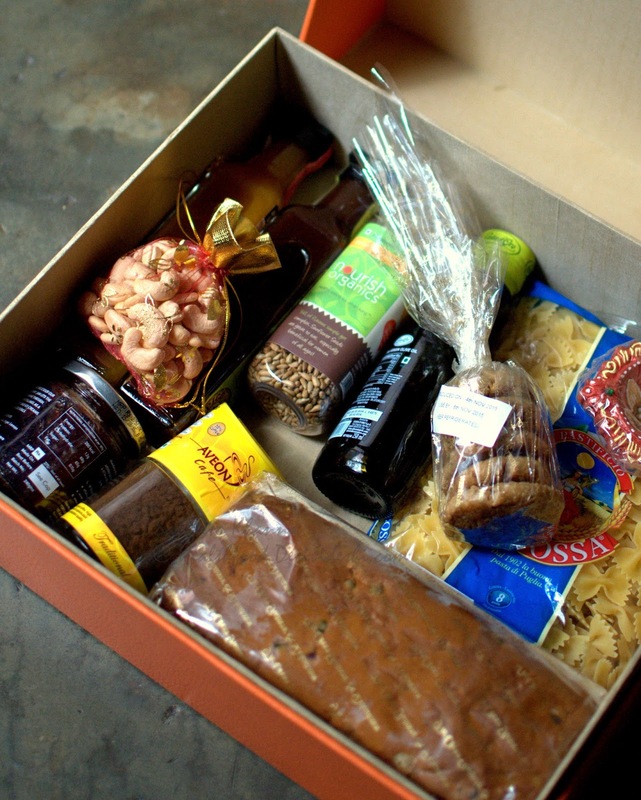 After all eatable gifts are the best way to spread cheer, food connects us in ways we can't imagine sometimes. Of course there are the good quality real cakes, cookies, mithais and nuts and fruits to choose from, a few other options might be more exciting. 1. Tea and coffee hampers : we usually know what teas and coffees our friends and family like. Or we can gift them something new to discover. You can include pretty kettles and coffee press to the hamper if you are feeling generous. Add some artisan cookies or trail mixes to the hamper or dried herbs so someone can make their own blends. 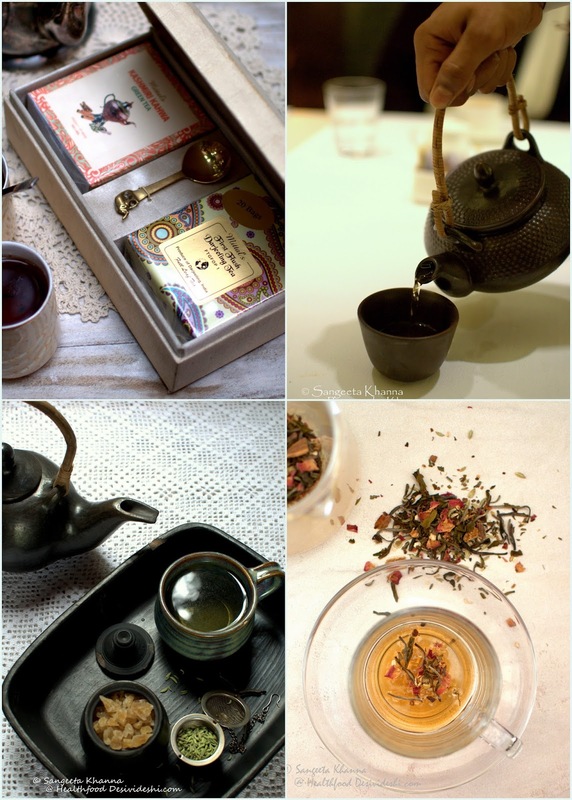 Mittal Teas and Anandini Himalaya Tea do nice tea hampers. 2. 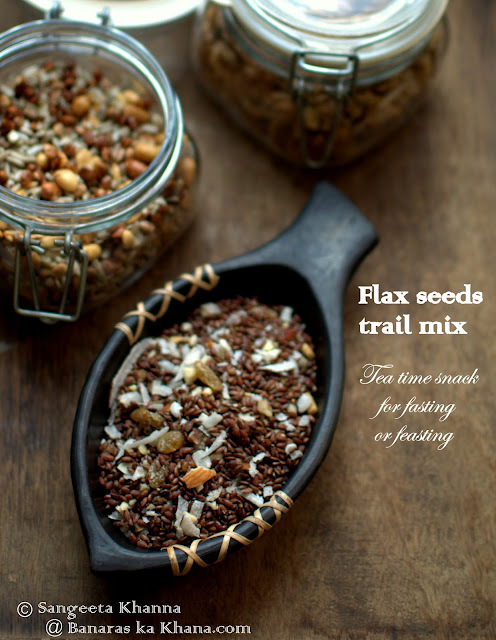 Roasted nuts or trail mixes : You can make them in bulk by yourself of get them made on order by some local bakery. These are the products least likely to be adulterated so you can buy them packaged too, just read the labels whether you are buying for yourself or for gifting. Avanti Mathur of Sweet Nothings makes wonderful cakes but her Diwali hampers are great too. These can be customized according to taste. 3. 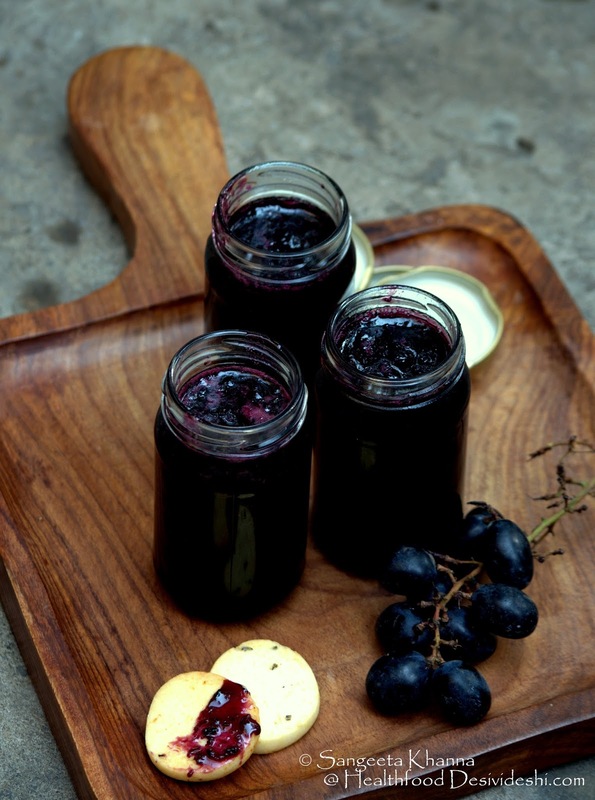 Homemade jams and preserves : You would love making them yourself even if you try for the very first time. Get nice glass jars, buy fruits in bulk and have a day full of fruity aromas and sticky fingers. Making marmalade and jams is easy although it is time consuming, your friends will remember you every time they open the jar. The industrially produced jams can never come close to homemade artisan jams and preserves. Buy from someone who is making at home if you can't make yourself, you will find many around your area. Apeksha Jain makes very good jams in Delhi. 4. Nut Butters and home made chocolate nut spreads: When you gift these home made goodies to your friends they really feel pampered because they see the attention to quality and the loving care you fill these jars with. Try this chocolate spread recipe and this chocolate ganache recipe if you want to make these. 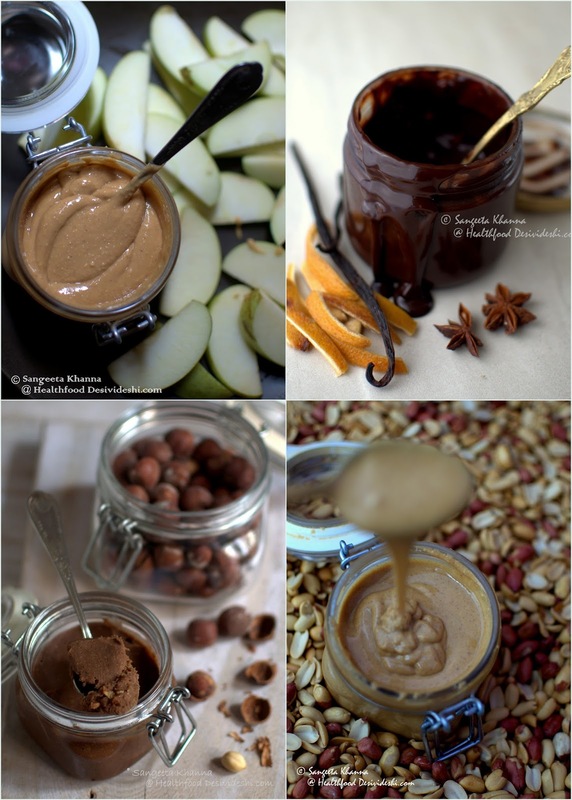 Megha Deokule of i2cook makes some nice nut butters and sauces if you like ordering. 5. Homemade chocolates : These are the easiest to make if you are planning to make by yourself. 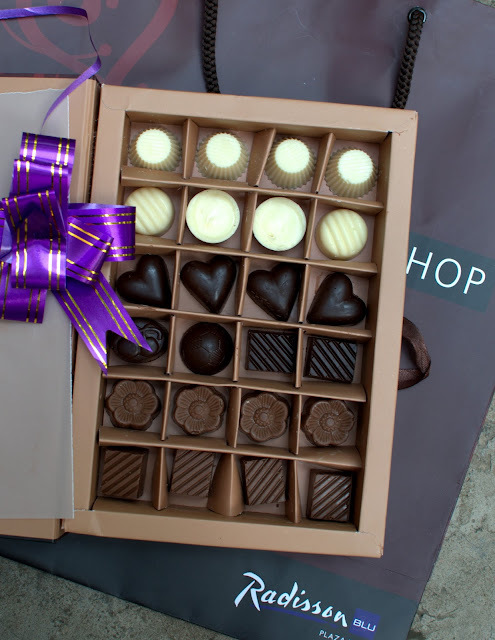 You just need to order the raw materials in advance and plan ahead of time for attractive packaging etc, but thankfully there are many home cooks too who are taking orders for home made chocolates. Find someone in your area and get them made with the best quality chocolate available. Radisson blu Delhi Pastry Shop did a nice home made chocolate hamper this year. 6. Fruit juices, preserves and honey made and marketed by rural women and NGOs : We see many such groups who are making fruit preserves, fruit juices and honey when we travel to hills and these products could be a great gifting option during festivals too. Of course these products are so good these should be part of our regular shopping list too. 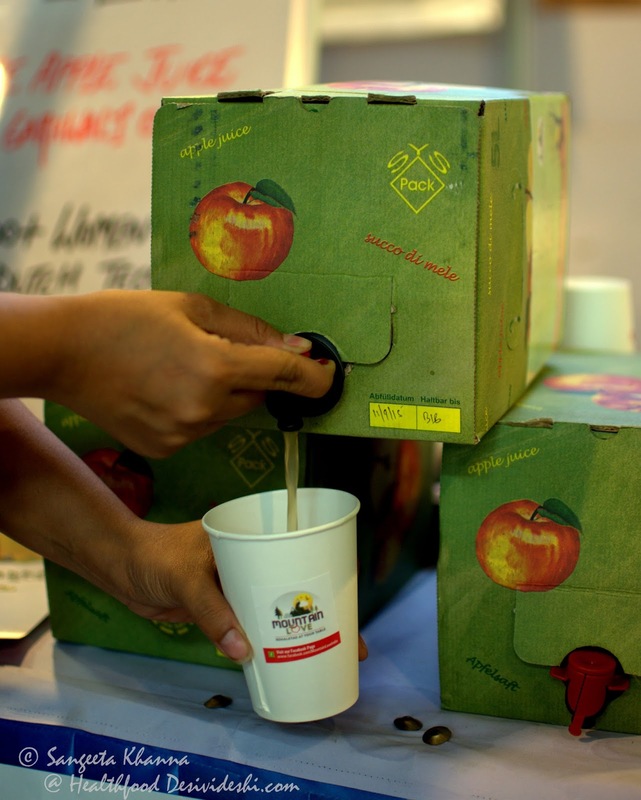 I saw this apple juice by Mountain Love (no preservatives, pasteurized juice) recently, it comes in 5 liter packs (for 700 Rs) and they home deliver anywhere in NCR. 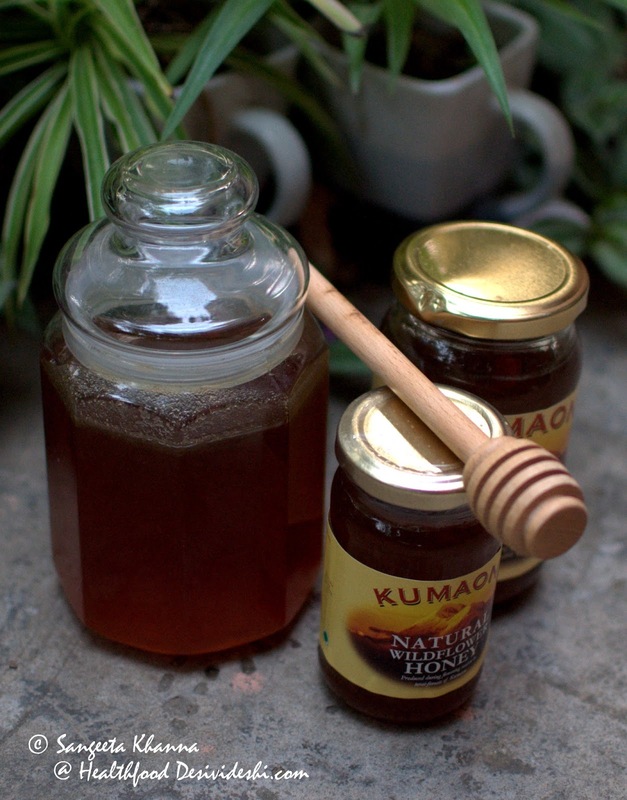 I love Litchi honey and wild flower honey by Kilmora and a few other brands located in the hills of Uttarakhand and Himachal. There are many such produce from Coorg hills too. 7. Assortment of all products you love : some good quality sauces, jams, pasta and cakes etc is also a great way to pamper your friends and family. This huge hamper from The Oberoi Gurgaon is a fine example. How wonderful it is to get good quality products to cook with. 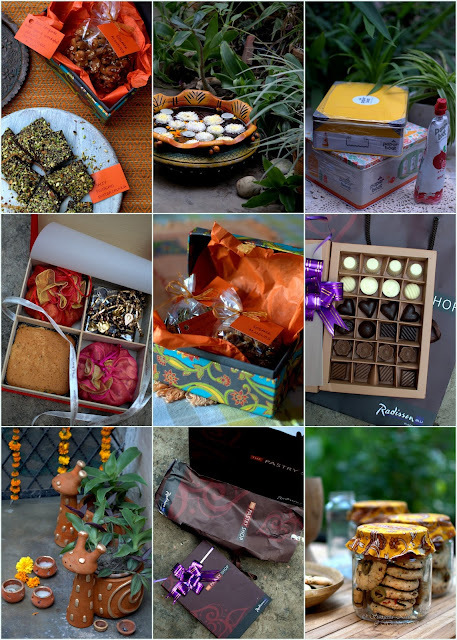 A few ready to eat treats makes the hamper feel like an instant treat too. This assortment of nuts, chocolate, cakes and brownies from The Oberoi Delhi also makes one feel pampered. 8. Home made granola bars, muesli, panjeeri etc. : Nothing like good quality home made muesli, Panjeeri or granola bars. These can also be made at home or can be ordered from home bakers from your area. This buckwheat granola bar, gluten free amaranth energy bar, sesame ginger honey bars, Flax seed coconut granola bars etc are easy recipes to follow. 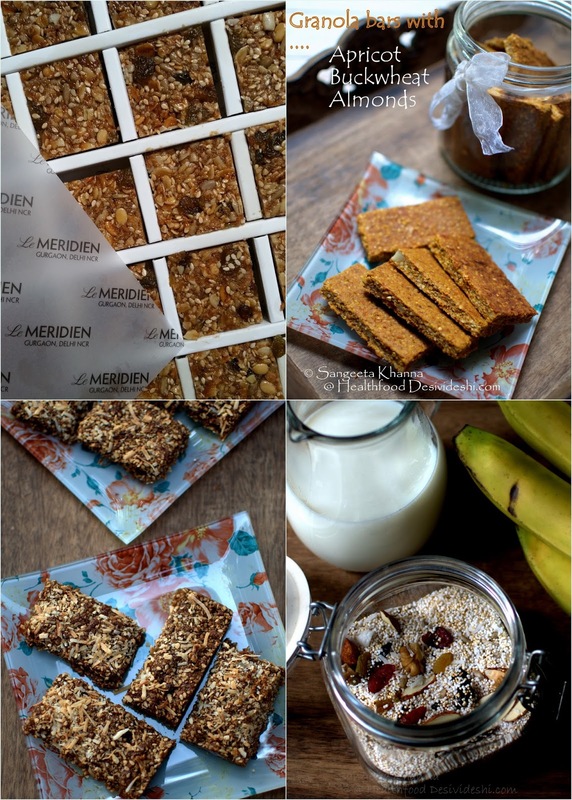 Le Meridien Gurgaon sent a box of delicious gluten free granola bars and I am inspired to bake some next time I have to gift. 9. 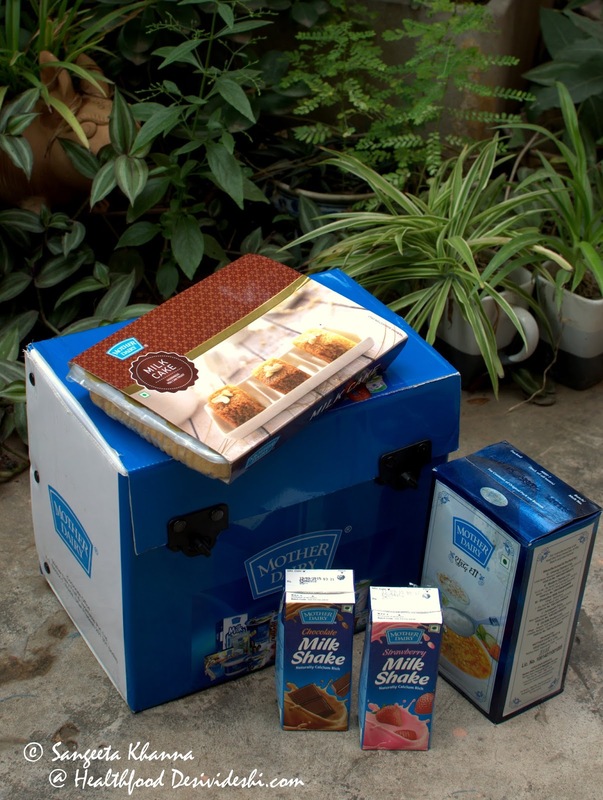 Mithais from Mother Dairy or any other reputed dairy from your area : The packaged mithais and other dairy products are standardized and good quality always. You have to read the labels in this case too if you have allergies or intolerance to certain ingredients, but you can trust the purity and quality. Even the powder milk and khoya from these dairies and brands is way better than the packaged ready to eat mithais, so try and get these to make mithais and desserts at home. Cooking from scratch is always the best option. 10. 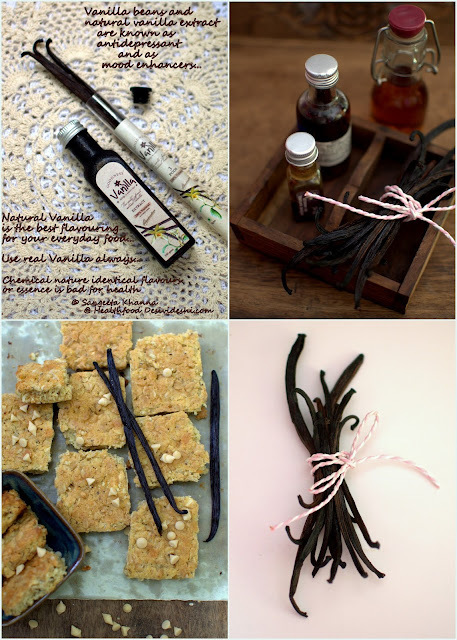 Real Vanilla beans or extract or homemade vanilla extract : I used to make Vanilla extract by slitting Vanilla beans and seeping them into Vodka for about 4-6 months earlier. I kept making my own vanilla extract this way for many years, and since it takes time I would make a large batch and share with friends too. But now I have found Goodness Vanilla and their Vanilla beans and extract is so good I don't buy any other Vanilla anymore. These tube packs of Vanilla beans and bottles of extract are great gifting ideas for all your friends who love baking. The Vanilla beans and extracts can be ordered from their website. These kind of gifts stay with us for a long time and we remember the treats for a lifetime for sure. When you add a special touch by cooking things at home or taking care to select the pure natural ingredients, the gifts are much more valuable than it is meant to be. Hoping these ideas will help you decide when you are planning to gift. I would have included homemade sauces and pickles too but I know many of you don't cook so much. But as I mentioned, it is easier to find someone who bakes from home or can make anything you want for commercial scale, now that people are getting conscious of the quality of produce. Please share your ideas too. Gifting is always so personal we all have different ideas and sentiments attached with it. Sometimes a box of fruits or a basket full of seeds and seasonal nursery makes wonderful gift too. Diwali is the time when we are planting flowers for spring. Please don't gift firecrackers if you want the flowers to be happy next spring.